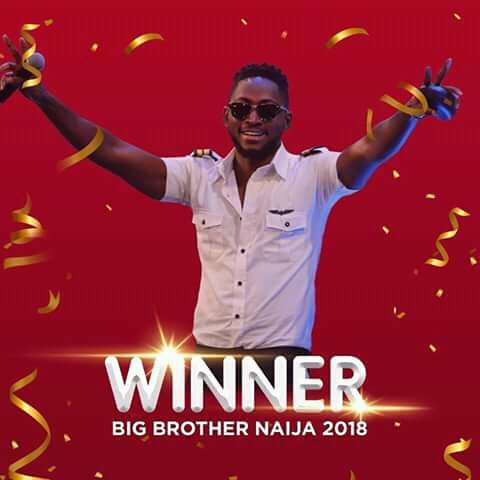 After claiming the prize for the BBNaja 2018 , the astomishing and young pilot , Miracle , as promised to pay his tithe as he is a devoted christain . He made this pledge on an exclusive interview with TS weekend . I’m feeling like a flyboy. I really appreciate you all because it’s your love that got me this (N45 million) prize. What do you think won you the prize? I will say it’s the grace of God. As a Christian, are you going to pay your tithe from the money you won? To me, it’s always God first. He has blessed me and I have to show that I appreciate. Yes, definitely, I’ll pay my tithe. What are you planning to do with the money? Right now, I think it’s just time for me to relax and think about what exactly I want to do with the money. How long is it going to take you to start something with the money? I have no idea because I don’t even know what’s happening right now. It’s like I’m in a dreamland. I’ve been indoors for three months. I need to get back to reality to know what’s happening outside and make my decision. Who are the people you are going to miss?